Harradine (65) took up the position after the resignation of John Roche in 2008 and immediately found himself with some testing tasks. 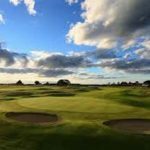 “My first job was to oversee the amalgamation of Otago’s men’s and women’s golf which took most of the first two years of my tenure,” Harradine said. His greatest achievements involved the appointment of a junior development officer, based at Sport Otago, which has led to many changes. This led to the establishment of two order of merit events, which has helped boost the standard of golf in the province. During his tenure Otago sent a team to the junior interprovincial event at Cambridge, and Otago won the national title in 2015. The senior team has also had more success during his reign, winning the SBS interprovincial in 2015 and finishing runner-up in the Toro interprovincial on three occasions. 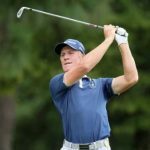 Harradine’s interest in golf was nurtured as a third form (Year 9) pupil at Waitaki Boys’ High School under the schooling of the then school’s golf master Les Duffy. Harradine’s other interests were football and cricket but he got involved in golf again when he moved to Dunedin and joined the Otakou Club. He joined the police force in 1977 and was transferred to Cromwell two years later. 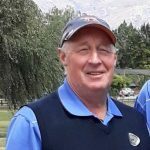 He was a committee member of the Cromwell Golf Club and became the manager of the club in 1995 – a position he held until he took up the Golf Otago position in 2008. He was no stranger to administration having served on the Otakou Club committee, Otago team manager from 2000-03, Otago selector from 2002-08 as well as being on Golf Otago’s management committee from 2005. He is no stranger to the competitive scene having represented Otago in 1984 and 1985, as well as being a member of the NZ Combined Services team for 12 years. Harradine was selected as a member of the New Zealand Police golf team and competed in the international Police Olympics in Texas in 1982. Golf Otago will advertise for a replacement for Harradine during the next two months.